You can use 10’ Whole Rice for all your dishes, even if you don’t have much time: risottos, fresh salads, flans or side dishes. Its marked taste will give an extra touch to your recipes. Thanks to parboiling, the old technology that allows to keep unchanged the nutritional values of the rice, through the combination of water and heat on the rice’s grain, you will have a whole rice easy to cook, good, with an high fibre content, useful for your wellbeing. Very fine Thaibonnet whole parboiled rice. 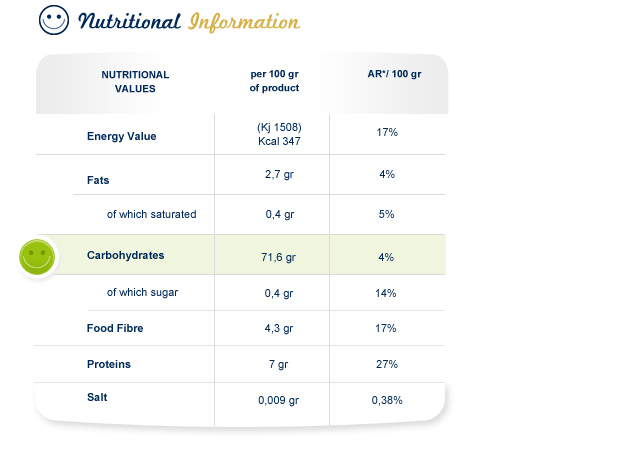 In 100g of 10’ Whole Rice you find 17% of fibres and 27% of proteins you need in a day.